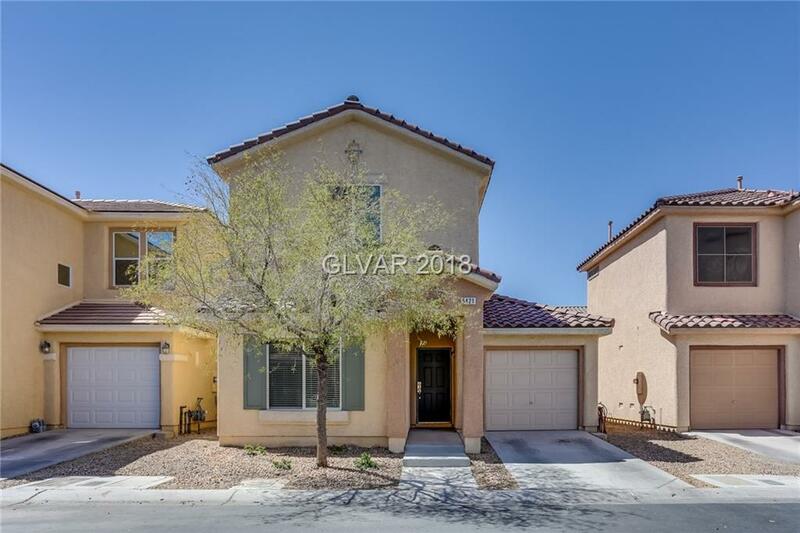 Lovely move-in ready home in guard-gated community with sparkling pool, spa, park & more! Bright, open and airy floorplan with elegant wood-like flooring downstairs. Ceiling fans throughout. Sizable bedroom & full bathroom downstairs. Dual masters upstairs! Roomy kitchen with all stainless steel appliances included. Beautiful low-maintenance backyard with green synthetic grass and a canopy over the spacious patio, a great space for entertaining! Directions: From 95 & Russell Go East, N On Broadbent, W On Brass Creek, N On Nickel Ridge, W On Silver Legacy, S On Nickel Creek To Your Right.